Our collection of silver rings for men offer a variety of styles that are sure to appeal to any personality. We offer a wide selection of both sterling and Argentium silver rings, including many men's silver wedding rings. Our rings make the perfect substitute for gold rings, since they are more affordable, yet look as striking and beautiful as any other metal. Each one of our rings tells its own story through the fine details and exquisite designs they possess. The beauty of our silver rings is that they will compliment your look no matter what you wear, or what the occasion may be. From classic minimalist wedding band designs, to trendy modern styles, each ring is made with the comfort of the wearer in mind. We also offer a selection of rings with exquisite white and black diamond accents that truly add a touch of luxury to each design. Every silver ring in our collection is available in a wide variety of sizes, to ensure you get the best fit. We also have a selection of comfort fit styles that are designed to feel great all the time. Our rings are made to feel as good as they look, which makes them the ideal styles for everyday wear. 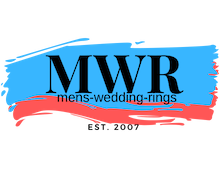 We know the last thing anyone wants to do is constantly maintain their rings, or worry about damage from heavy work, which is why all of our men's silver rings are designed to be durable, stylish and affordable for any budget. No matter the style or look you are looking for, we guarantee that you will find a beautiful ring that you will simply love.